Michigan is one of 26 states where parole boards are given close to unlimited power to determine who is released from prison, when they get out, and why. The United States has highest incarceration rate in the world, with an excess of 1.5 million people locked up. After a month-long Marshall Project investigation, it was revealed that parole boards fear releasing prisoners who could later make them regret the decision. As a result, parole boards only release a fraction of those eligible, with even fewer who have committed violent offenses. “No one has documented an example in contemporary practice, or from any historical era, of a parole-release system that has performed reasonably well in discharging its goals,” the document states. Throughout the country decisions in the criminal justice system are aided by a scoring matrix that suggests how much time someone should serve. However, a large number of parole boards deliberately disregard them and base their decisions on political considerations and gut instincts. There is a great abundance of politicians in the ranks of board members. At least 18 states have one or more former elected officials on board. The board is completely appointed by the governor in 44 states, while the higher-paid positions often become gifts for former aides and political allies. Many states have no minimum requires or qualifications for their board members. 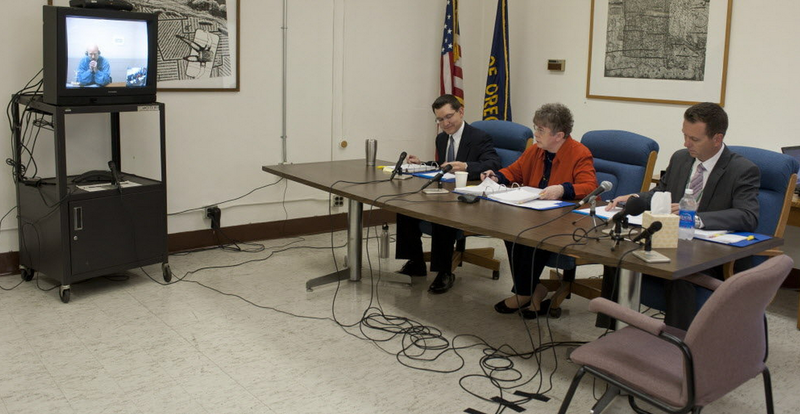 To make things worse, parole boards often operate discretely and without review. As a result, parole boards are the only entity within the criminal justice system to wield so much power, with so few professional requirements and lack of accountability. Individuals paroled before the completion of their sentence are subject to supervision in the community. The terms of their release can be dictated by the parole board, including the frequency of their visits with a parole office, and whether they seek treatment for substance abuse. When inmates are perpetually denied parole, they “max out,” and the state loses its legal ability to supervise them. These individuals ruled as too dangerous to release, eventually get out with zero conditions or supervision. Over the past 20 years the number of inmates who max out has more than doubled. No matter the severity of your criminal offense in Michigan, only a quality criminal attorney can ensure your rights protected from the failed institution that is a parole board. The Lawyers at Rudoi Law provide a combative, compelling defense. Commitment to protecting your legal rights and preventing a conviction is our central objective. The MI Legalize Ballot Proposal has reported that it’s on track to collect all of the 252,000 required signatures to return to the Michigan Board of Canvassers to be considered for the 2016 ballot. Under the proposed bill there would be a 10 percent excise tax, and adult users would be permitted to grow up to 12 plants without getting a license. If an adult wished to grow more plants, or sell it, he or she would need to apply for a license. In addition to marijuana, their comprehensive approach is to enable farmers to grow and sell hemp for the production of consumer goods. It is estimated that the MI legalize Ballot Proposal would save the state $300 million immediately, by alleviating enforcement of marijuana laws. If MI Legalize Ballot Proposal passes, it could potentially generate an additonal $200 million and close to 25,000 jobs. Money generated would be committed to roads (40 percent), education (40 percent), and the remaining 20 percent would be given back to the local community that chose to zone and create an ordinance for commercial cannabis activity in their town or city. MI Legalize Board member attorney David Rudoi is seeking help from from voters around the state with fundraising and volunteer signature collection. For more information on how you can help visit MIlegalize.com today! MI Legalize Ballot proposal is one of three proposals being petitioned to legalize cannabis in Michigan 2016. It is the only proposal which also legalizes the production and sale of hemp. While Michiganders currently have approved the use of medical marijuana, police departments and prosecutors still act as if medicinal use is illegal. There are many areas still unaddressed by the Michigan Medical Marihuana Act. Far too often, law enforcement sees this ambiguity and uncertainty in the MMMA as justification for doing things the old way. At Rudoi Law, we fight each one of these cases strongly. Your right to the treatment you need shouldn’t be denied. We also understand that it will take a determined, consistent effort on the part of attorneys statewide to protect and enshrine patients’ rights.